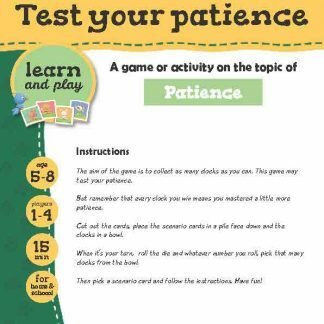 A game activity on the topic of Patience. Time to play: 7 min. 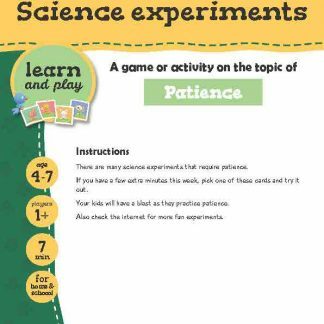 There are many science experiments that require patience. If you have a few extra minutes this week, pick one of these cards and try it out. Your kids will have a blast as they practice patience. Also check the internet for more fun experiments.